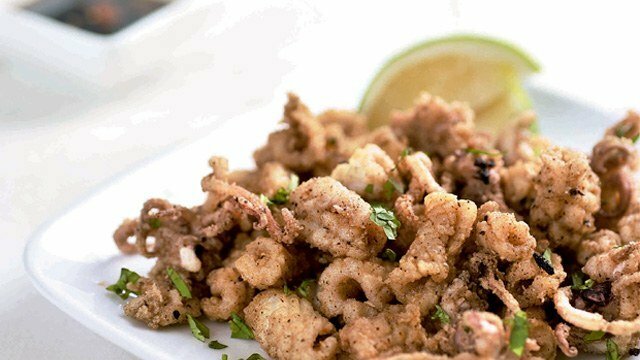 Add more flavors to calamari with the addition of simple ingredients. 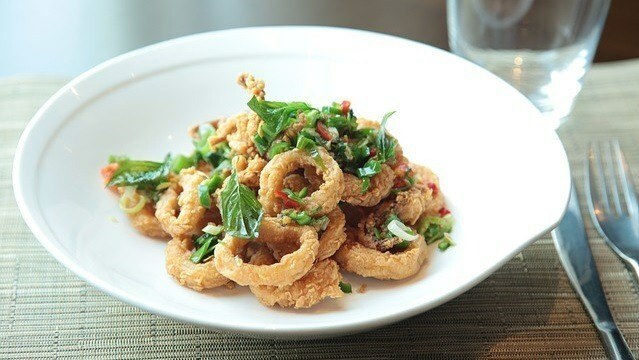 This squid appetizer is a great dish to serve at your summer barbecue! The crunchy garlic bits and tangy lemon juice add flavors to this crowd favorite. In a bowl, combine the flour, cornstarch, garlic powder, salt, and ground black pepper. Set aside. Pour lemon juice on the squid rings and coat in the flour mixture. Mix well until all the squid rings are coated with the flour mixture. Preheat oil in a medium-sized pan and saute garlic in oil until golden brown. Set aside. Using the same pan, fry all the squid rings until golden brown. Top with fried garlic bits and sliced leeks. Serve with lemon wedges, if desired.